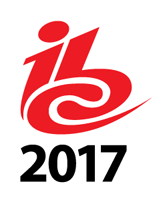 Visitors will be able to see a broad range of market-leading RF over fiber products from ViaLite at two upcoming trade shows — at IBC2017 from September 12 to 15, 2017, at RAI, Amsterdam, the company will be showcasing their wide range of advanced RF over fiber links and support products, and at the Satellite Innovation Symposium in Silicon Valley from October 2 to 3. A variety of hardware formats will also be featured, including chassis modules, OEM modules and the compact Blue2 link, which can be set up as 2x transmitters, 2x receivers or a transceiver as required. Being launched at the show is a new, faster SNMP module with support for dual optical Ethernet configurations, together with new software. Capable of managing extreme distances with Ethernet over CWDM/DWDM, the card has a maintenance mode and also allows users to set their own alarm priorities so they can decide what is reported within their own network management system. The new software is also available for customers to use with the current SNMP module. The software provides an improved user interface that doesn’t require Java, and has an updated look and feel. Among the ViaLite personnel in attendance at IBC on stand 1.A21 will be recently appointed Sales Director Richard Jacklin and, for part of the show, CEO Neil Seager. 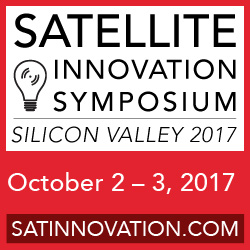 ViaLite will also be exhibiting its RF over fiber products on booth #29 at the Satellite Innovation Symposium at the Computer History Museum, Silicon Valley, USA from October 2 to 3, 2017. Both shows will feature appearances from Barry the Alien, highlighting ViaLite’s extremely wide dynamic range and its ability to detect tiny signals.